“Our ambition is to create a set of technologies that will simplify medcial screenings of diseases by analysis of exhaled air”. Our solutions are based on 30 years of R&D combined with the latest technologies. We aim to have validated instrumentation with very simple user interface and a system that is affordable to a broad group of users. We believe medical care in the future will use a breath test as replacement for, or as a complement to traditional blood and urine tests. Thousands of chemical substances emanating from the metabolic processes of the body are direct biomarkers to various diseases. It is like something out of a science fiction movie according to the The Wall Street Journal , but we are not too far away from having a complete health exam using only a breathalyzer-type tool. 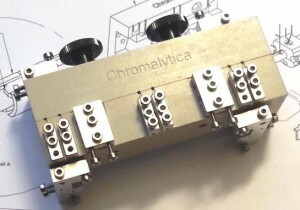 A tool that is presently under the development at Chromalytica AB, Malmoe, Sweden. said Raed A. Dweik, director of the pulmonary vascular program at the Cleveland Clinic’s Lerner Research Institute, to The Wall Street Journal. 1. Taivans I, Jurka N, Balode L, et al. Exhaled Air Analysis in Patients with Different Lung Diseases Using Artificial Odour Sensors. Proceedings of the Latvian Academy of Sciences. 2009. 2. Cikach FS, Dweik RA. Cardiovascular Biomarkers in Exhaled Breath. ScienceDirect. 2012. 3. Mathur R, Amichai M, Chua KS, Mirocha J, Barlow GM, Pimentel M. Methane and Hydrogen Positivity on Breath Test Is Associated With Greater Body Mass Index and Body Fat. The Journal of Clinical Endocrinology & Metabolism.